The Drivy car sharing app has received a number of new updates as the service passes the milestone of two million active users globally. 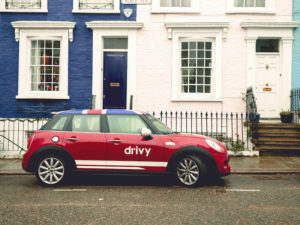 Drivy now has 50,000 cars available for car sharing in six countries – this includes its current expansion across the UK following its launch in London seven months ago – and has seen the app become the most popular method to access cars; 60% of the Drivy community use their smartphones instead of desktop browsers. As a result, the app has been completely redesigned to be in line with Drivy’s new focus on mobile experience and instant car sharing, including easy map visibility of cars’ locations and a new one-tap payment button. The latest version of the app will introduce a dedicated four-hour price offer – allowing its users to get a car for four hours or less, meeting the need for short term rentals.